The first time I tried a tuna empanada, I was extremely disappointed. I’d recently moved to Spain and still had loving memories of the empanadas I’d enjoyed while living in Argentina– baked and served piping hot, filled with oozing meat, cheese, corn… The brick-like chunk of greasy dough and smelly tuna that was plopped down on my plate (cold) didn’t quite compare. I took a couple of bites and proceeded to pass on the empanadas de atún for the next year or so. Little did I know I was missing out on a delicious Spanish snack. As it often seemed to happen the first years I lived here, it was at my mother-in-law’s house where I finally fell in love with the empanada de atún. Obligated to take a slice, I begrudgingly helped myself with forced enthusiasm. And it was good– really good. But it’s not that her tuna empanada recipe is anything to write home about; in fact, she uses pre-made dough and prepares the whole thing in less than 15 minutes. But it was light years ahead of what I’d tried in that sketchy tapas bar! 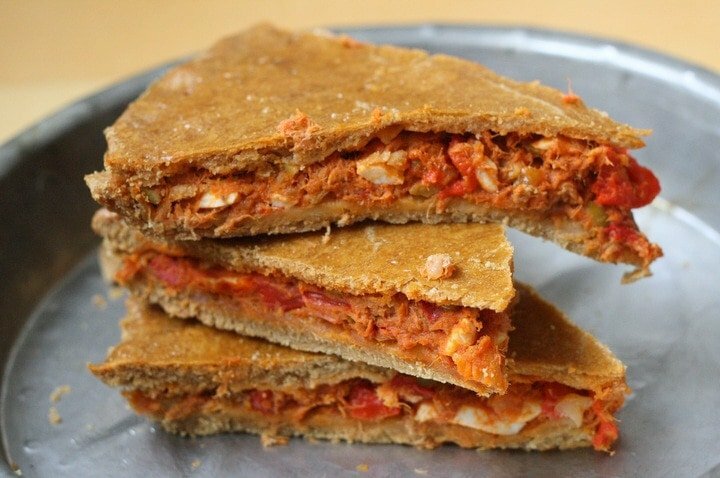 I’d been wanting to make a homemade tuna empanada since then, but kept making excuses. It was one of those recipes that intimidated me. It sounded like a lot of work, and a long time to spend in the kitchen! But as usual, I was wrong. I used the baked tuna empanada recipe from my favorite Spanish cookbook, and made some adjustments. The result was a slight twist on the classic Galician empanada recipe that will be a highlight of my personal Spanish recipe collection for years to come. Easy and delicious, my husband swore it was the best he’d ever tried (and I’d wholeheartedly agree). We still have to explore the empanadas in Galicia one day, but until then this will do! 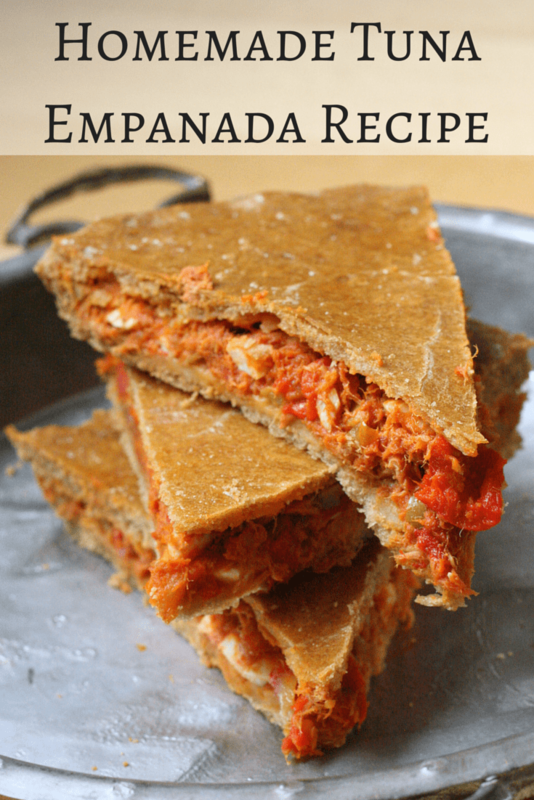 Try this authentic baked tuna empanada recipe for a delicious and homemade Galician empanada. To make the pastry dough, beat the egg in a large bowl and add in the baking soda, olive oil, wine or cider and salt. Add in the flour, little by little, and when it gets too difficult to continue mixing with a fork, use your hands. It should be a soft dough (but not sticky). Make it into a ball and cover in plastic wrap for one hour at room temperature. To make the filling, heat about two tablespoons of olive oil in a heavy frying pan and cook the onions until soft and starting to caramelize. Add in the roasted red peppers and fry for another two minutes or so, and then add the tomato sauce. 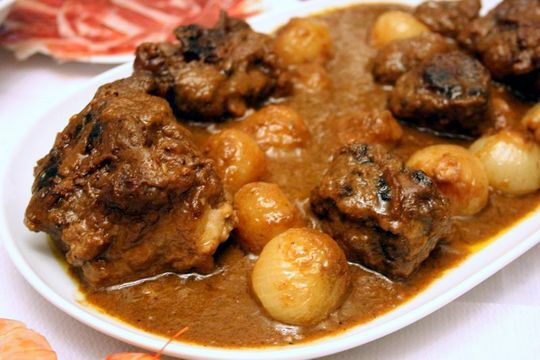 Lower the heat to a slow simmer and cook for about 15 minutes, stirring often. Add in the tuna, chopped olives, chopped eggs, Worcestershire sauce (or anchovy paste), honey and paprika. Taste and adjust the salt. Preheat the over to 350°F (175°C) and divide the dough in half, with one half slightly bigger than the other. Grease an 11 inch pan with oil and roll out the larger half of the dough so that will completely cover the bottom of the pan and the edges. Using your rolling pin, transfer the dough to the pan and gently mold it to fit the pan without stretching the dough. Trim the edges if necessary. Beat the egg white and brush over the the dough. Bake the base for 10 minutes and then remove and let cool. Once cool enough (10 to 15 minutes) cover with the tuna filling. Roll the other half of the dough large enough the cover the top of the empanada and make sure the edges meet. Brush the empanada with the beaten egg yolk mixed with one teaspoon of water. Bake in the oven for 40 minutes and serve hot or cold. What’s your favorite empanada filling? The recipe might be a little complicated but the ingredients in the dough sound like they will do the trick—I tried to make empanada once my first year in Spain and the dough turned out all hard and crunchy :/ I bet the baking soda & egg would do the trick. I like the addition of cumin, paprika, Worcestershire sauce, and honey to the filling; those flavors would combine really nicely with the onions and tomato. Thank you so much for the recommendation! I can’t wait to taste the true Galician empanadas! Thanks for the recipe. I made it and its authentic. Reminded us of our days in Madrid going to the local bakery and having it for breakfast. It never made it to lunch. Delicious!! Muchas gracias por la receta. Yo la hice y es auténtica. Me recordaron nuestros días en Madrid yendo a la pastelería y comiéndola para el desayuno. Nunca duro al almuerzo. Deliciosa!! A great recipe to make on a cloudy day in the canaries as it uses ingredients I usually have in my cupboard. Thank you for sharing. I remember my first empanada nearly 60 years ago cooked by my Spanish mother who made wonderful pastry. Unlike most modern recipes they were deep fried and meltingly rich because that was the way she had always made them. Delicious but very unhealthy. Oven baking was not on offer when she learnt to cook as homes did not have the facilities. Your recipe is delicious bu I still hanker after mamacitas! I made this recipe and my Spanish housemates rated it very highly! Yum! 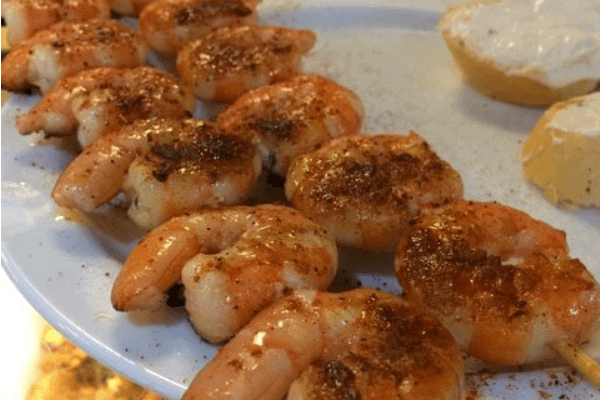 Pingback: 7 Must Have Spanish Cookbooks - An Insider's Spain Travel Blog & Spain Food Blog! What kind of tuna do you use – is it the kind in oil? I usually buy mine packed in water, but the oil-packed ones work too! Just drain well first.